500mL Round bottle thermal unit. Thermal Unit can be placed on base angle to capture low sample volumes to be extracted. 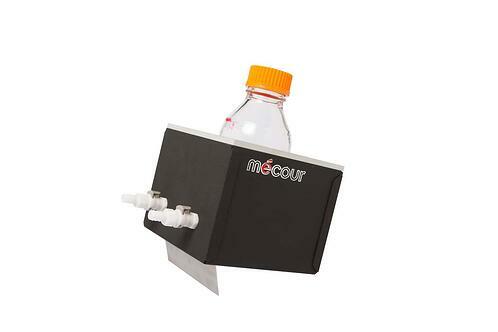 These units come in virtually any size to accommodate reagent or media bottle. 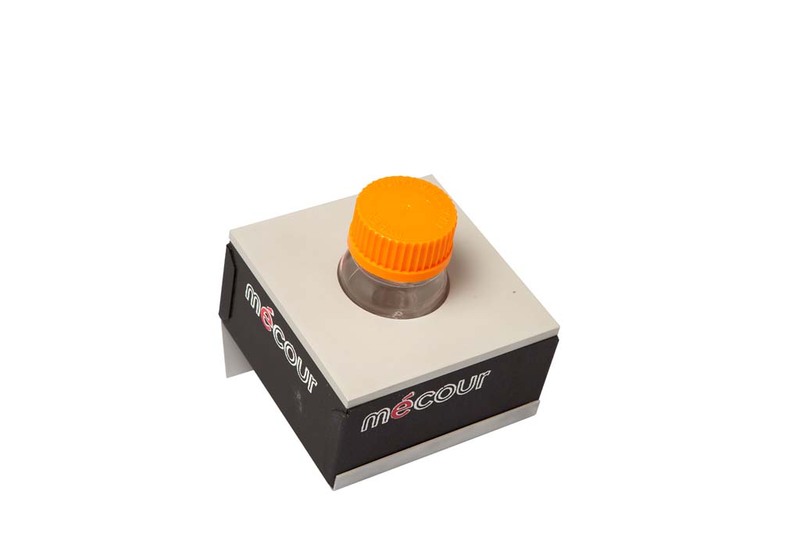 Small compact thermal unit accommodating a single 100mL bottle. Unit provided with base angle to facilitate extraction of dead low sample volumes. Footprint less than a 5” square. Clean, neat and superior uniform temperature distribution to entire bottle beyond that of what a bucket of ice can provide. Perfect for 4˚C long term temperature maintenance. 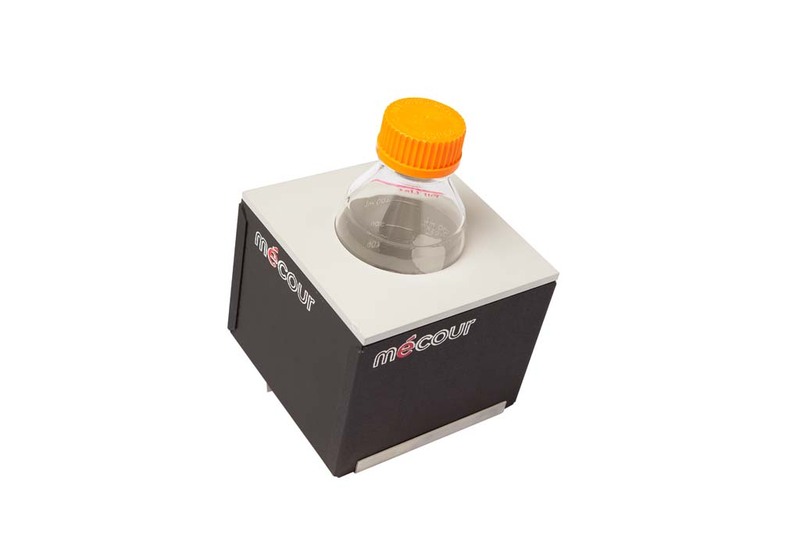 Units available in twin or multiple size media bottles.